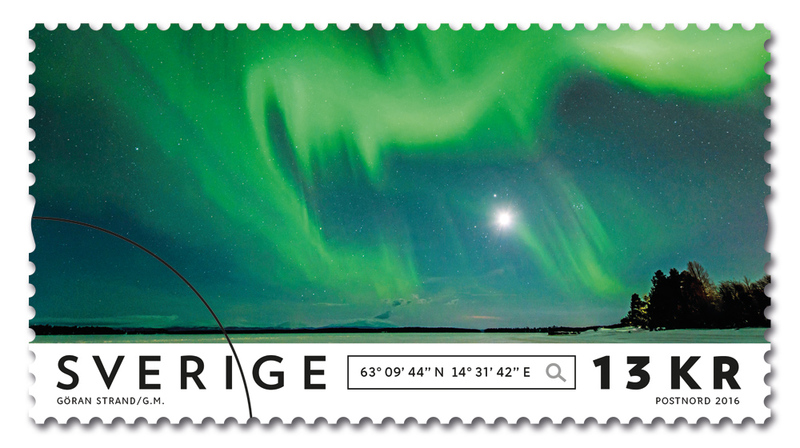 Göran Strand is extremely proud and honored that the Swedish postal service ´PostNord` has released five of his Northern Lights photos as international stamps. 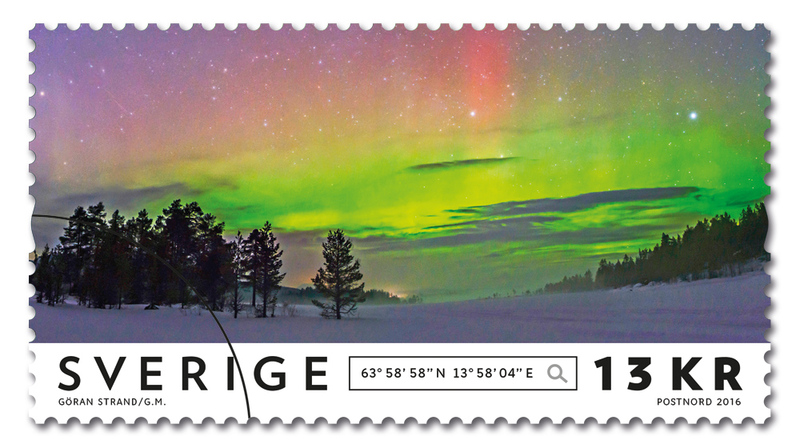 He was contacted by PostNord in December of 2014. 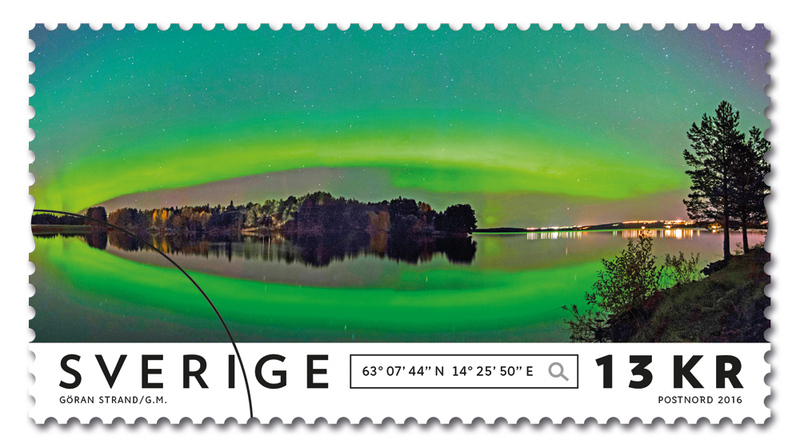 They told him that they were planning to release a series of international stamps on the theme of the Northern Lights. 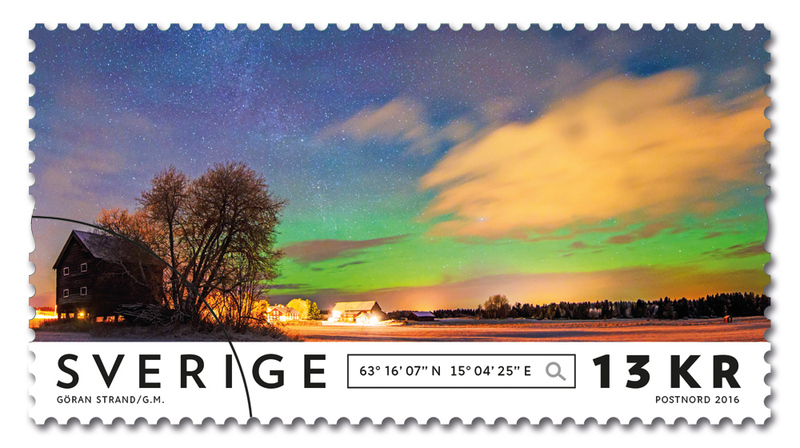 They had been in contact with Rymdstyrelsen, the Swedish National Space Board, who told PostNord about his work. The selection process and the design has been going on during 2015. 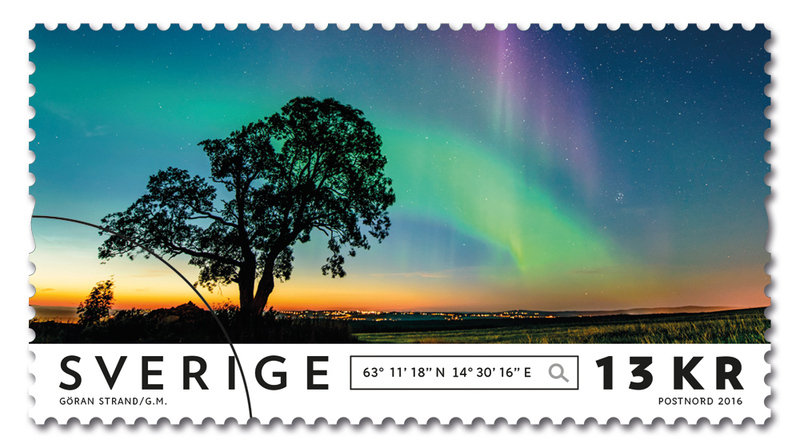 The stamps are available since November 10, 2016.